During the winter of 2003 Timothy M. Schell, P.T. 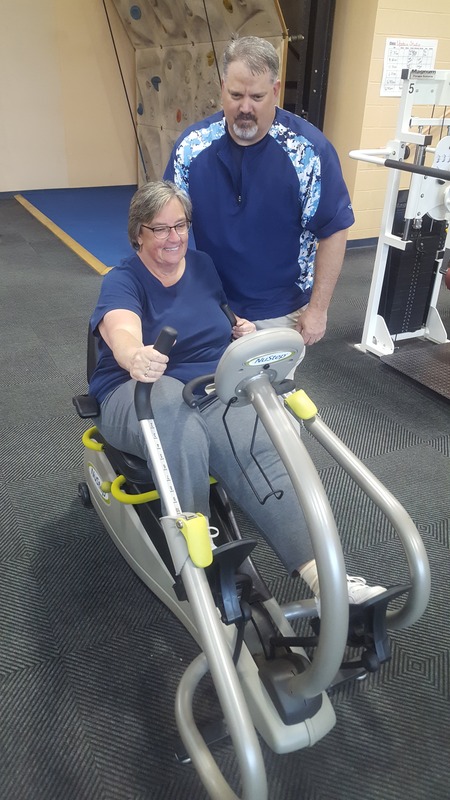 was contacted by LeAnn Shelburne, previous owner of Cool Springs Fitness Center, and was asked to consider opening a physical therapy clinic inside the fitness center being built at 1051 East Cornell Road, Mercer, PA. Mr. Schell agreed and the rest is history. During April 2004 Cool Springs Physical Therapy treated their first patients and since that time the census has steadily increased. Cool Springs Physical Therapy is a full-service clinic and offers to their patients all the latest treatments including Aquatic Therapy as well as physical therapy. Treatment option may include but not limited to mobilization techniques, paraffin treatments, traction, ultrasound, vasopneumatic compression, electrical muscle stimulation, gait training, Iontophoresis treatments and McKenzie Techniques along with all the newest exercise machines available in the fitness center. As you work with our professional staff, you the patient are thoroughly evaluated and tested for neuromuscular and skeletal problems. Your individualized treatment program will focus on meeting your needs by helping you reach your potential for independence and recovery. The plan of treatment is discussed in detail with you and your physician receives timely reports on your progress. We believe our concentration on patient care is the best in the area. Our staff and facility provide a warm, comfortable atmosphere. Our Physical Therapist and Physical Therapist Assistant are encouraged to attend professional seminars and training sessions regularly in order to maintain the high quality of care our patients deserve and expect. Everyone in our clinic gives the kind of attention that you, the patient, would receive from a friend. Whether it is in the exercise area, or the Aquatic Center, or the office, you will receive helpful courteous and effective service.